Almost all of the items we buy—whether it’s a smartphone or a new car—has some form of warranty coverage. After all, they’re subject to daily use and require protection from premature failure. New roofs need strong warranties more than anything, given their daily exposure to wear and tear. 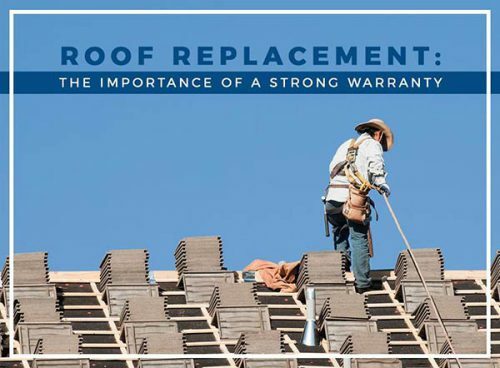 As one of the leading roofers on the Central Coast of CA, let Premo Roofing share with you the importance of a strong roofing warranty. There are two types of warranties: material and workmanship. The former covers manufacturer-related defects that can cause issues down the line. There are, however, circumstances that can void this warranty. For instance, you can’t utterly neglect your roof. Most material warranties require proof of regular maintenance for coverage to continue. Take extra care to avoid circumstances which may void your existing warranties. No matter the level of quality of your roofing system, if it isn’t installed properly, chances are issues will show up soon. Workmanship warranties cover defects caused by improper installation on the roofer’s part. Should performance be affected, most roofing companies will cover repairs or total replacement for you. The extent of coverage varies from warranty to warranty. It’s for this reason that you should consider which roofer to work with early on in the process. The exceptional ones will have coverage for both material and workmanship aspects, and provide the longest timeframe. With the strongest warranties, you can enjoy lasting peace of mind as a homeowner. Make sure to consider this when choosing your next roof. Among all roofing contractors in the area, Premo Roofing is the one that has been a consistent source of excellent service. Call us now at (831) 443-3605 to get a free estimate today.